Bus and Coach International (BCI) has appointed dealer principal Peter Chinnery to head up the bus distributor’s new Sydney dealership. relocated to Sydney from BCI’s Perth branch, along with his wife Marcelle who will handle administration at the Milperra site. With over 30 years in the automotive and heavy transport industry, Chinnery brings a wealth of hands on knowledge and broad technical experience to the new Sydney operation. "At the Sydney dealership we are dedicated to providing customers with the best quality product, fair-trading and total commitment to after sales service," Chinnery says. Supporting Chinnery is Jason Murrell who will handle the service and warranty side of the business. The Sydney BCI team anticipates a strong roll up of prospective clients at the launch of the Milperra operation on March 16. "Customers will find the new premises in Milperra, clean, modern and inviting," Chinnery says. "Our small team hopes to foster a friendly and dedicated customer service focus to our operations." 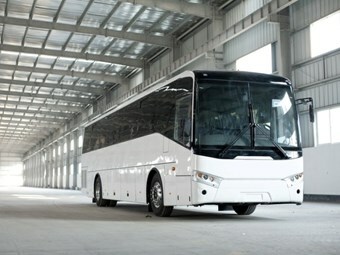 BCI Marketing Manager Michelle Nazzari says planning is well underway with the March launch, saying it will be the first opportunity Sydney operators will get to see the 2011 Classmaster. "This is our best selling vehicle and has the highest sales in Australia in its class," Nazzari says. "The 2011 model has a new design and upgraded features." Nazzari says opening a Sydney dealership has been a necessary step for the growing BCI group, with increasing demand for greater representation in New South Wales.